AF-11 - SENEGAL, GAMBIA, GUINEA-BISSAU, LIBERIA – cruise Date of travel: Dec 22, 2011 - Jan 7, 2012 ITINERARY: On Dec 22, 2011 afternoon, I drive an AVIS car from Vista to Los Angeles airport. There I take an Air France plane for 9.5-hour flight to Paris, France, where next day in the afternoon. From Paris, I fly on other Air France plane some 5.5-hour to Dakar, SENEGAL. I am quite late in my hotel. On Dec 24, I get by taxi to a small ship “Callisto” in Dakar harbor. At night, our ship sails south to Saloum River estuary. The following morning, we got stuck on a sandbar and the ship must wait for a high tide to get off. In the meantime, a local long canoe takes us off the ship. It lasts an hour in a ruff sea to get to the Djifere Island. Most of us are all wet. In a bus, we do sightseeing of the island, visiting a village, see the salt mining, and noticing the birds and plants. After a day on the island we return by bus and then a canoe to our ship, which is still on the sandbar. But with the high tide it gets off. In the morning on Dec 26 “Callisto” docks in Banjul harbor in GAMBIA. Soon we go by a coach for a sightseeing tour. There is a stop at the goat market. Little later at “Abuko Park” which is one of the best birding area. I know I have been here twice before. We have lunch in a private resort “Makasutu.” There are baboons everywhere. On our drive back, we visit museum in Banjul. At night and following morning, our ship sails against the current of the Gambia River about 100 km to Tendaba. Here we get on a bed of a truck to drive around the countryside. In the afternoon, a ride on a local piragua birding on an arm of the river. Next 1.5 days are on the Atlantic Ocean. There are frequent lectures on the ship. 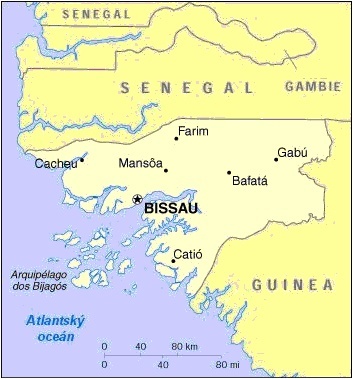 But in the afternoon on Dec 29 our ship is at a pier in the harbor of Bissau in the country GUINEA-BISSAU. There is a bus tour of the city. During which we visit a fish market. Then I take pictures of important places from the bus. Last stop is at a woodcarving center. Then past a stone fortress back to ship. In the afternoon on Dec 30 “Callisto” anchors at the “Bijagos Archipelago” part of Guinea-Bissau. By an island barge to shore. Local people carry us to the beach, so we don’t get wet. A dune-baggy takes me to a village, while others go on foot. We walk around the village of mud houses. One house belongs to the 85-year old local king. Then back to our ship. Next two days there were to be more sightseeing tours to islands of the archipelago. One shortened took place, but I did not go. For large waves, the other was called off and “Callisto” starts sailing back to Dakar. Our ship docks in Dakar on Jan 2 afternoon. The rest of the day is sightseeing of this city. After a stop in an artisans’ village, we take pictures of a gigantic statue “Monument de la Renaissance Africaine” built by North Koreans for 30 million euros. Next stop is at the Presidential Palace. Then we return to our ship. The following morning there is a ferry trip to the “Goree Island.” From here Africans were carried by ships to Americas to work on plantations as slaves. This is my third visit to this island. We have a local guide for the walk around. We return to Dakar at noon. Then we are taken to our “Pullman Teranga Hotel.” Here in our individual day rooms we are waiting for transportation to the airport before midnight. Very early in the morning I fly with Air Nigeria from Dakar (Senegal) to Lagos (Nigeria). There I change to another Air Nigeria plane for flight to Accra (Ghana). In Accra, I switch to a Delta Airlines plane to Monrovia (Liberia) my destination. I am in Monrovia, LIBERIA after 5PM. A hotel car takes me from the airport to my “Cape Hotel” (some 60km) in Monrovia the country capital. I have arranged a sightseeing trip of Monrovia in a hotel car. First, we pass an American Embassy with a big sign “No Photography,” then a stop at a “Masonic Temple,” followed by a “Waterfront Market.” From there to the center of the city. We drive the Broad Street, where most of the shops and businesses are located. On the Government Hill, there are government buildings. Next, I see the “City Hall” and the 4 months old power plant built by Americans, little later a brewery. 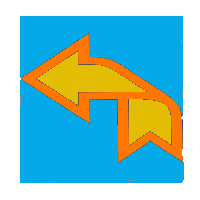 The connecting road is a long market. The last stop is at “Ducor Palace Hotel” which was ransacked during the recent civil war and never repaired. Afternoon on Jan 6 I get by a hotel car to the airport. On an evening flight with Delta Airlines I fly from Monrovia to Accra in Ghana. On the same plane, I leave Accra an hour before midnight for a 12.5-hour flight to Atlanta where in the morning on Jan 7. I leave Atlanta at 8:30AM. During boarding I was put into the Business Class. Great. After 4.5 hours, the plane lands in Los Angeles in midmorning PST. I pick-up a Hertz car and drive home to Vista where early in the afternoon. Travel office: “Travel Dynamics” through “Destination & Adventures” Who took part: 19 passengers on the ship “Callisto,” an English expedition leader, a naturalist from South Africa plus 16 members of the crew including the captain and house director both from Greece. I traveled alone in Liberia.